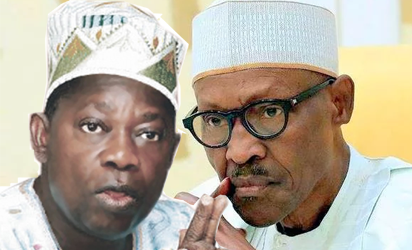 The Federal Government has announced the modalities for the conferment of national honours on late businessman and politician, Moshood Abiola, the presumed winner of the June 12, 1993 election. Also to be honoured are late prominent lawyer, Gani Fawehinmi and Babagana Kingibe, Abiola's running mate in the 1993 election. Abiola will be given the Grand Commander of the Federal Republic (GCFR) title while Kingibe and Gani will both be conferred with the Grand Commander of the Order of the Niger (GCON). According to a statement released by the Secretary to the Government of the Federation, Boss Mustapha, the pro-democracy heroes will be honour an investiture scheduled to take place on Tuesday, June 12, 2018 at the Conference Hall, State House, Aso Rock Villa, Abuja.